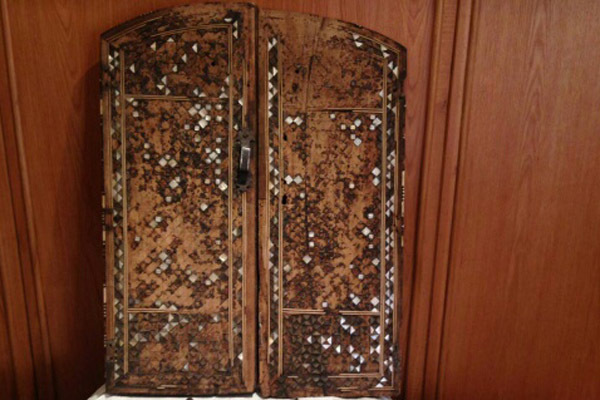 Egypt's Tourism and Antiquities Police succeeded in recovering a door and decorative elements stolen early March from the Sultan Al-Kamel Al-Ayyubi shrine inside Cairo's Al-Imam Al-Shafie Dome. 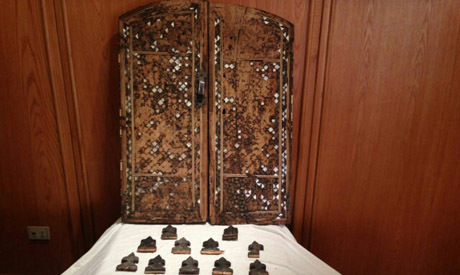 The recovered artefacts includes of a 70-centimetre tall wooden door of the shrine as well as a number of tiny wooden decorative elements. The Sultan Al-Kamel Al-Ayyubi shrine, located inside Al-Imam Al-Shafie Dome, was subject to looting when thieves got inside the shrine after cutting barbed wire that covered its window. 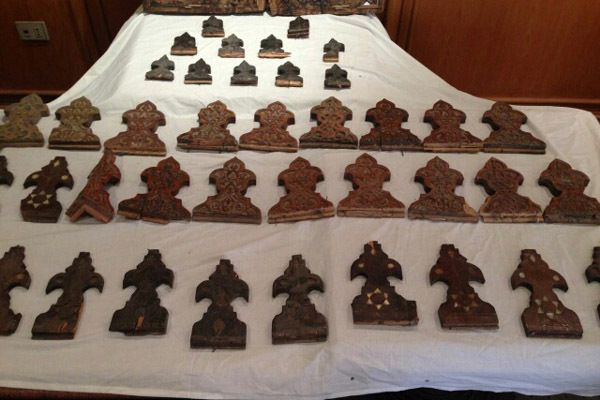 Head of the Department of Islamic and Coptic Antiquities at the Ministry of Antiquities, Al-Saeed Helmi, said that all the objects were recovered and the criminals caught. The objects are in a good state of conservation. Minister of Antiquities Khaled El-Enany expressed his appreciation for the efforts of the Tourism and Antiquities Police in recovering the stolen objects. He highlighted strong cooperation between the ministries of antiquities and interior to "preserve and protect Egypt's cultural and archaeological heritage". This is the second time in a month that the Tourism and Antiquities Police have managed to recover stolen antiquities. The first was when six lamps stolen from Al-Refai Mosque in the Citadel area were recovered. Al-Imam Al-Shafie Dome is considered as one of the largest of its time, built in 1211 AD during the Ayyubid era to venerate Al-Imam Al-Shafie. The dome has four shrines with wooden decorative structures: the first for Al-Imam Al-Shafie, the second for the mother of Al-Sultan Al-Kamel, the third for Sultan Al-Kamel, and the fourth for the family of Abdel Hakam, the family who hosted Al-Imam Al-Shafie. Al-Imam El-Shafie was one of the four great imams whose legacy on juridical matters and teaching eventually led to the Shafie school of fiqh.